Well, I'd say that Jimmie locked it up tonight. Even Jeff has conceded victory. It was a great season for the 24 team. Under the old points system, he would've clinched his SIX Championship last week, but alas, it wasn't meant to be. Or perhaps it was meant to be and someone foresaw this and decided to make a change to not let it happen. Well, it's been one week off and I'm ready for more racing. February. can't come soon enough! I know the feeling. I'm not a NASCAR fan so my open wheel series' schedules are shorter. Can't wait until March! That was one heck of a finish to the season though in the Indy Car series. I was hoping Franchiti would get it so that was cool. Or...are you talking about F1? I do enjoy F1, too, along with IndyCar and ChampCar. The F1 had an awesome final race as well! Kimi taking the win and the championship from the brink of elimination over his 2 championship contenders! What is with all the title sponsors leaving all the sudden? First it was Winston, then Busch and now Craftsman after 2008! I just can't believe that these companies don't want their name up on high. The amount of revenue generated by sponsorship deals is just incredible, but they always say things like "we just felt like we needed to go in a different direction". Okay...what other way could you possibly get that much exposure? Oh well, here's to a great 2008 Sprint Cup, Nation Wide and Craftsman series season. Only 36 days until the 50th running of The Great American Race, The Daytona 500! Is anyone else going this year? Most likely my husband will be going -- but he'll be working. He'll probably be there for all of the races -- but will fly back and forth instead of staying down there all week. Great to see Chevy get their first victory of the year with Jeff Burton at Bristol yesterday. Man, we've only been running for a month and already a break. I won't have anything to do after church on Sunday. Here's my new license plate. 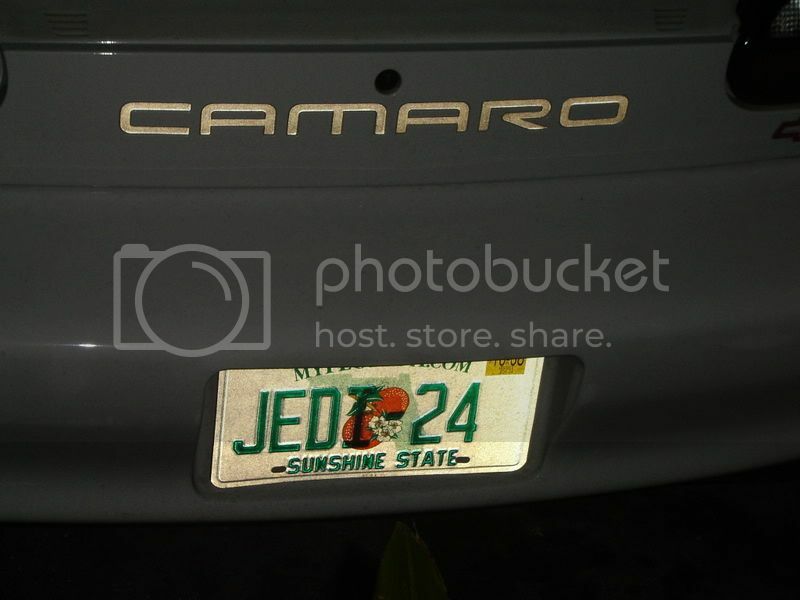 Of course, I had to get some Star Wars in there along with some Jeff Gordon. Wow...great race today in Nashville for the Nationwide guys. Scott Wimmer finally wins for RCR. His first win since July of 2005. Chevy wins again! Not NASCAR, but it was great to see Danica Patrick get her first win last weekend in the Indy Japan 300. I was really hoping Scott Pruett could hold off Kyle Busch in Mexico to win his first NASCAR race, but it just didn't happen. That was Kyle's third win in a row. I can't even believe they are even questioning him running the whole season or not. That would be as dumb as Mark Martin parking his car while leading the Cup series points two seasons ago. I don't know if this is only me, but I can't stand ABC and ESPN broadcasts of auto races. They have the track volume up way to high and you can't even hear what they heck the announcers are saying. If I didn't want to hear the announcers, I would turn the sound down myself. If you watch Speed or Fox's broadcast of F1 you actually hear the cars, but still hear what the announcers have to say, because they actually have intelligent things to say about the race. 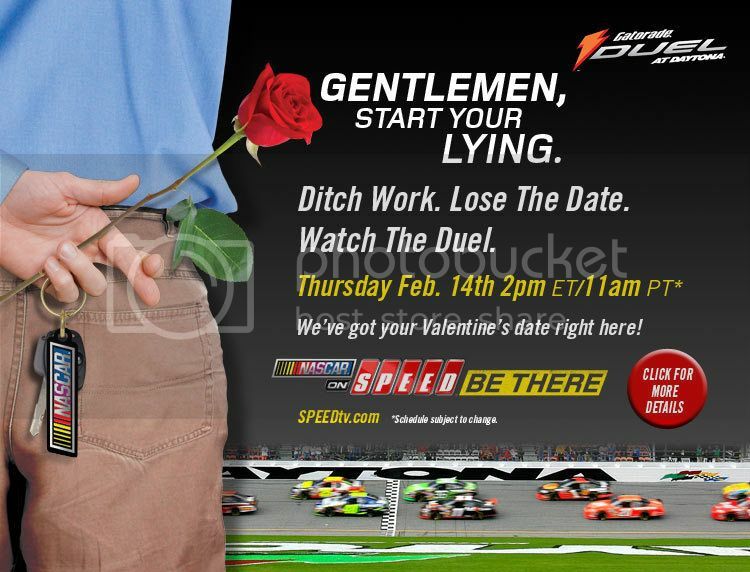 I guess my point is that I much prefer the early part of the NASCAR season when the races on still on Fox. I totally agree with you. FOX has it's flaws, but they are hands down better than ESPN, ABC or TNT. They should just give Darrell, Larry and Mike the $20 million they deserve and keep them on for the entire season. Any races that conflict with other things could be shown on FX, FOX's cable channel.